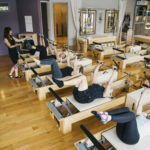 This is the Cutting Edge Approach to Pilates Teacher Training. 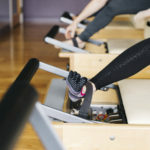 PSC teaches a contemporary approach to the method developed by Joseph Pilates in the 1920s; one that preserves the essence of the original technique but incorporates today’s knowledge and principles. Small class sizes and high contact hours with review and anatomy provided at EHF Pilates in Carlsbad, CA 760-271-4597 (call or text). Students will learn the Classical and Progressive approach to Pilates all in one program using a beautiful, organized photographic manual. Our instructors are successful, sought after and return to us for continued workshops year after year. Upon completion of your Pilates Teacher Training program, you will be prepared to take the PMA Pilates Certification™ exam if you desire. Fundamentals 8 hour / 2 day required course. What does this all-inclusive 450+ hour course offer? Show me more! Full Course: (Deposit of $500) $5,200.00 minus deposit for the full program. SAVE $200 & get 6 FREE classes on the full program when registering prior to 45 days in advance. OR Save $100 & get 3 FREE classes when registering 30 days in advance. Deposit and application must be received and approved no later than the above 45 days prior to apply for the discount which will be applied to the full payment or final installment. or view our Payment Details and modular course options. A deposit of $500, pay your deposit here – signed and completed application and acceptance into the program is required 2 week prior to the start of the program to qualify for our payment plan and to receive your book on the first day of class. ©2010 Enhanced Health & Fitness Pilates | EHF Pilates | All Rights Reserved.